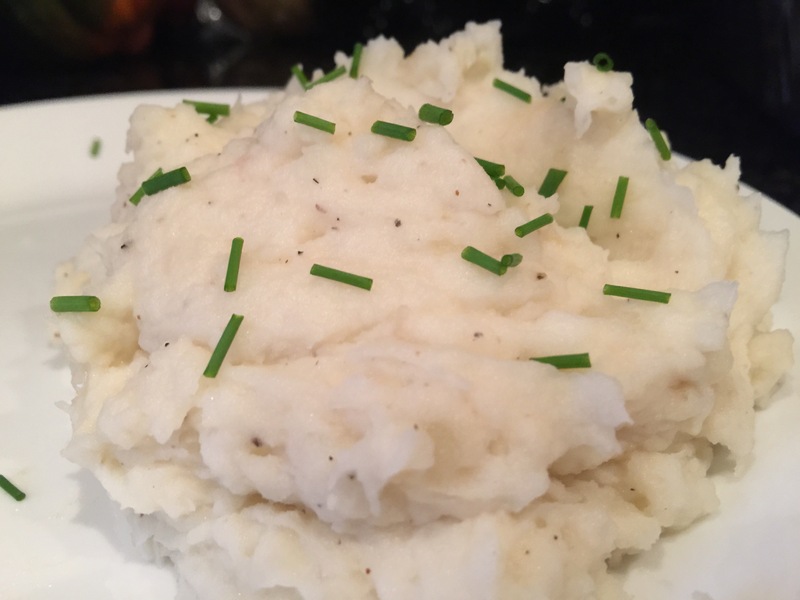 Creamy mashed potatoes with a hint of horseradish turn humdrum spuds into sublime comfort food! My family and I are potato lovers…we will devour them any way they come! Especially my children. I blame it on the Irish blood. My horseradish mashed potatoes uplift the rather ordinary potato into something entirely different. Don’t worry if you don’t especially love horseradish, which can be a bit overpowering on the palate. The potato and cream calm the horseradish. It will leave your guests wondering what it is that makes them just a little more enticing. They usually can’t put their finger on it, but they know there is something special going on with them. I recommend grass fed butter due to its nutritional benefits. It is a little more expensive, but a lot healthier than regular butter and margarine. Kerrygold is the brand I usually get. But if you can’t find it then I always recommend butter over margarine. I use half and half in this recipe because it makes them a little creamier in my opinion. But if you don’t have half and half you can substitute with half cream/half milk, or all milk, or all cream. Use whatever you have on hand. You really can’t go wrong with mashed potatoes! Potato masher (or you can use a fork, or even a whisk). Peel the potatoes. Rinse and chop into uniform sized chunks (about one half inch). 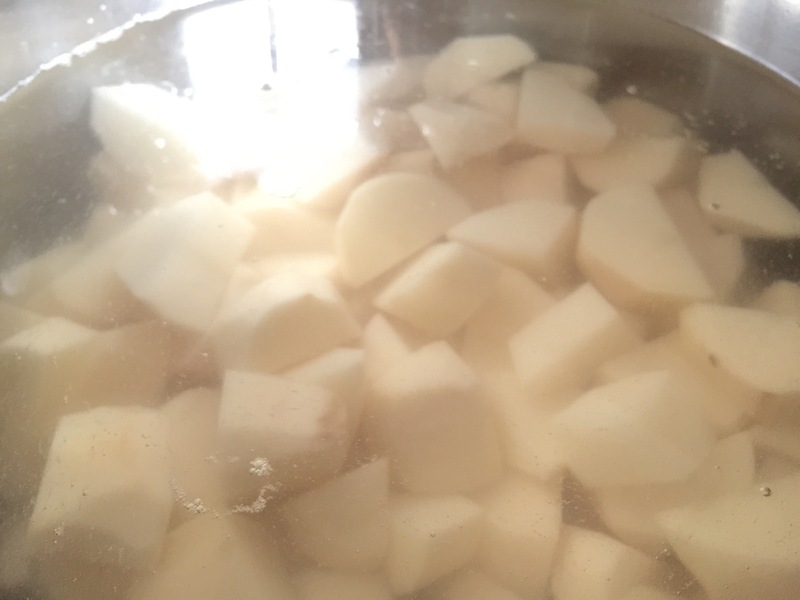 Place potatoes into a large pot and cover with cold water. Cook over medium-high heat until tender (about 30-45 minutes, depending on the size of the chunks). Test for doneness by picking out a potato chunk with a fork and eating it. It should be melt-in-your-mouth tender. 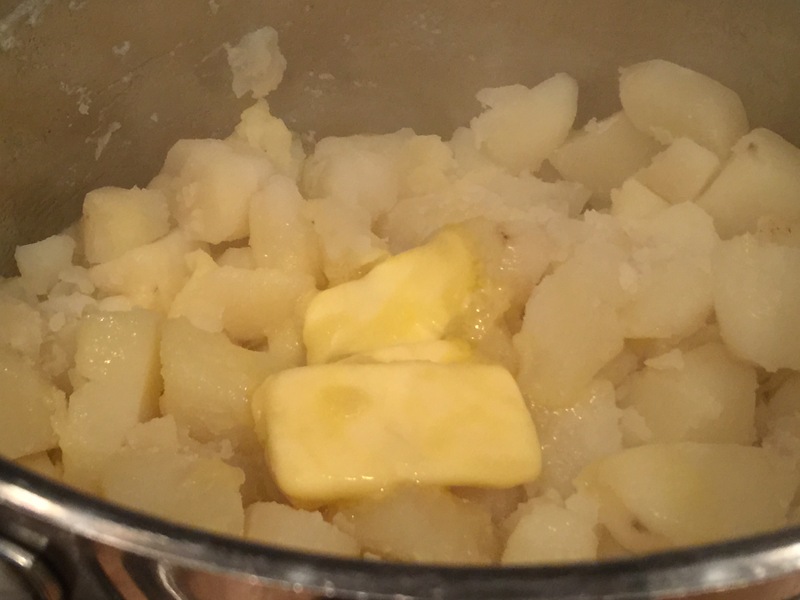 Once the potatoes are tender, drain the water off the potatoes but leave them in the hot pot and add the butter to melt over the potatoes. Add salt and pepper. 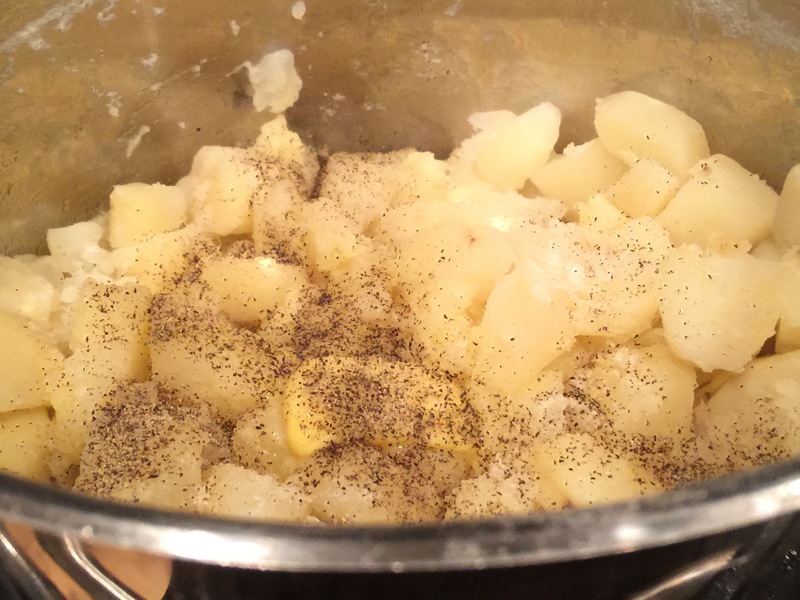 If you don’t like the black pepper look in your potatoes you can use white pepper. Personally, I like seeing the black pepper. Taste test and adjust salt and pepper to your liking. Mash the potatoes with a potato masher, or a fork, or even a whisk using an up and down motion (I have yet to find the perfect masher for me so I usually resort to the whisk for now). Add the half and half, starting with a quarter cup and add more as you stir till you get the right consistency for you. Tip: if you don’t mind washing an extra dish, you may consider heating the cream prior to adding it to the potatoes so that the potatoes don’t cool down from cold cream. Add the horseradish and stir till thoroughly combined. You might want to start with a tablespoon at a time and taste after you stir in each tablespoon to ensure the amount of horseradish is to your personal taste. Taste testing as you go along is key with this dish. Since we eat with our eyes first, and because white potatoes can be a bit dull, I like to top my potatoes with some fresh chopped chives. This dish is best served immediately. If you are making the dish ahead of time I recommend waiting to add the horseradish and chives immediately prior to serving. It looks VERY good. I will try these for my family.